Hope everyone is having a fantastic Memorial Day Weekend. We certainly are. 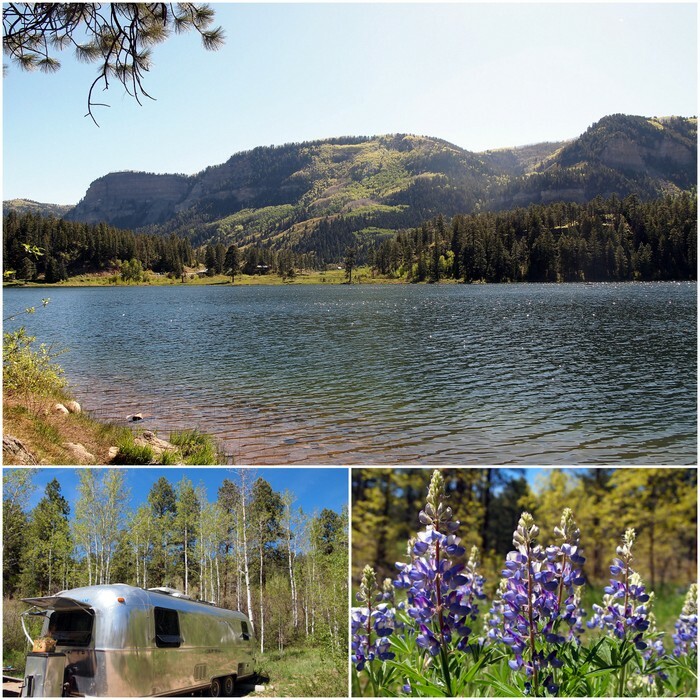 After leaving our little mountain meadow behind on Saturday morning we traveled about twenty miles north of Durango. Our destination was a small national forest campground on the shores of Haviland Lake. I was a little nervous about arriving on a holiday weekend without reservations, but we got lucky and snagged one of the last three sites available. What a site it was. Take a look at those green leaves! 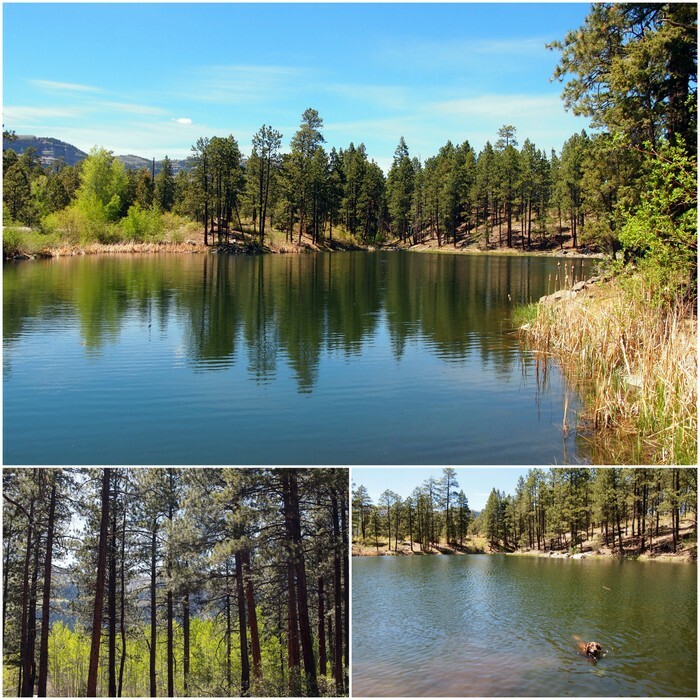 Our two days at Haviland Lake were filled with hiking, swimming (Phineas, not us), feasting on yummy foods, and just generally enjoying our surroundings. This morning we’re headed north to settle into a private campground in Ouray for the week. Since we’re attempting to get an early start, I am going to forgo a long narration of our weekend adventures in favor of a bunch of photos. Happy Memorial Day! 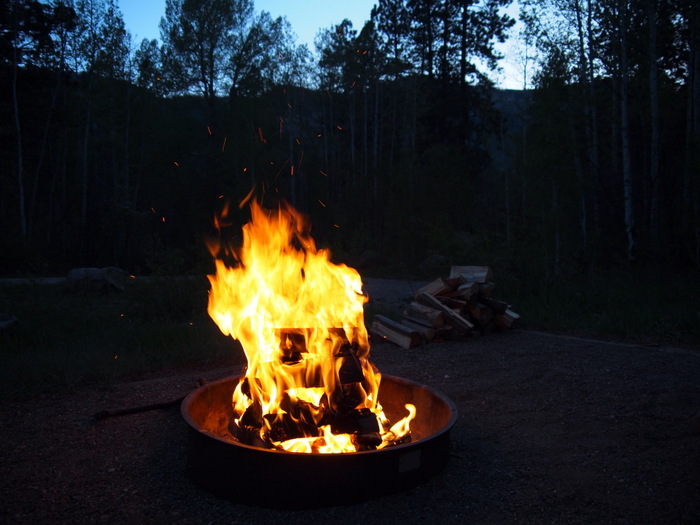 We really enjoyed Haviland a couple years ago on a tent camping loop through SW Colorado. Now we’re enjoying our Scamp on a trip to Alaska. Enjoy Alaska! We hope to one day make that journey. Thanks- I’ve heard of this blog. That watermelon salad looks delicious. I made the version with quinoa. 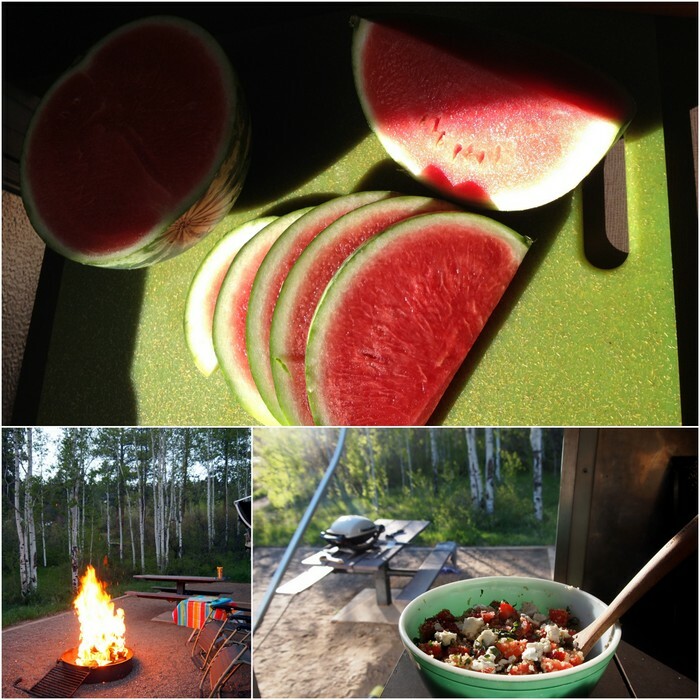 Next time I would omit the goat cheese because I didn’t really like it with the watermelon. First of all I wanted to congratz you about your nice blog. Here is the link to info on Haviland Lake. http://www.fs.usda.gov/recarea/sanjuan/recreation/ohv/recarea/?recid=42962&actid=29 You may want to click on the reservation page and see what’s available before you show up. It’s not a big campground and I imagine it will be busy for the holiday weekend. You can definitely swim in the lake and most of the site will have shade for your tent. It’s a primitive campground, but there are restrooms and water spigots on site. Enjoy! 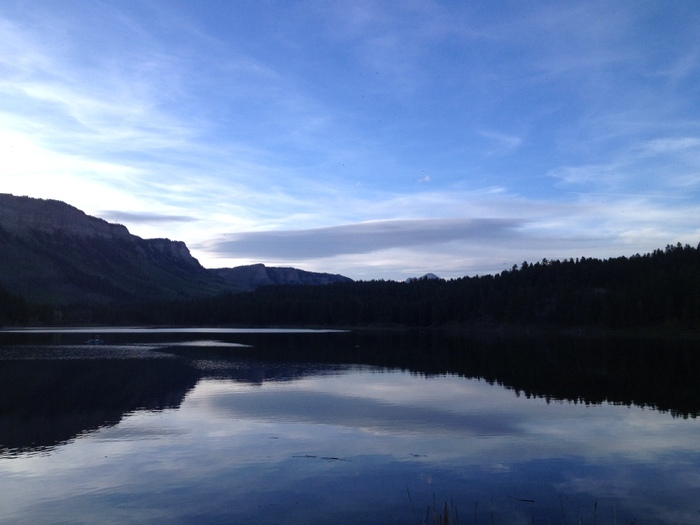 We’ll be staying at haviland Lake next week — early forecast is for lots of rain – bummer. My question. how were the roads. We have a sprinter van with limited clearance underneath. Should I be concerned. Too bad about the rain. Seems to be a lot of that in Colorado right now. No need to worry about the roads at Haviland Lake. From the main road to the campground is short dirt road that was in very good condition. The road through the campground was also in good condition. Our Airstream has pretty low clearance and we didn’t have any issues at all. Enjoy, and hope it doesn’t rain too much! Thanks for the reply and info. Latest weather forecast just improved – went from 80% chance of rain to 20% – hooray!!. 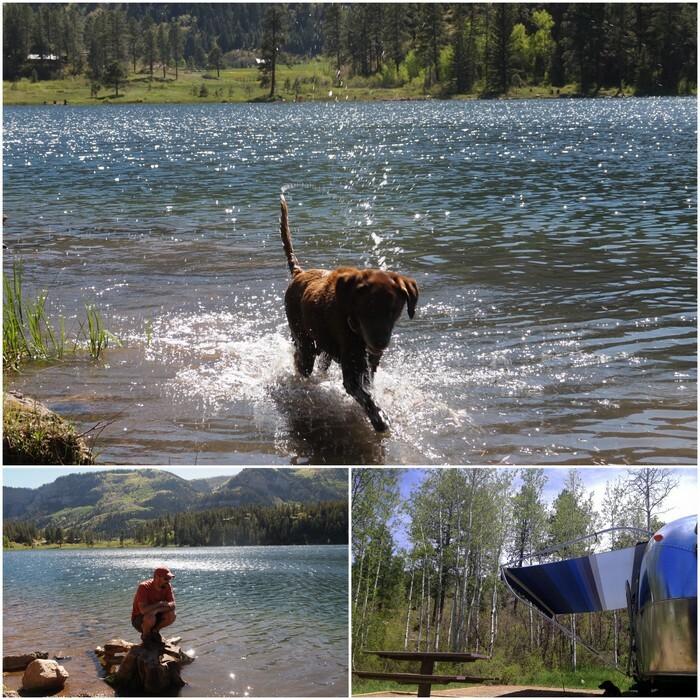 Also, just read your blog on Leadville and Turquoise Lake. We visited Leadville about 2 weeks before you and had a good visit – by any chance did you see the old time guy walking the streets in a tux and top hat. Hillarious looking guy. I’m guessing he is a fixture along main street. On that same trip we discovered Turquoise Lake (had never heard of it) – did the short drive around the lake and thought it might be a nice place to camp. Your recap confirmed our thoughts and I think we will head back there next year for a stay. 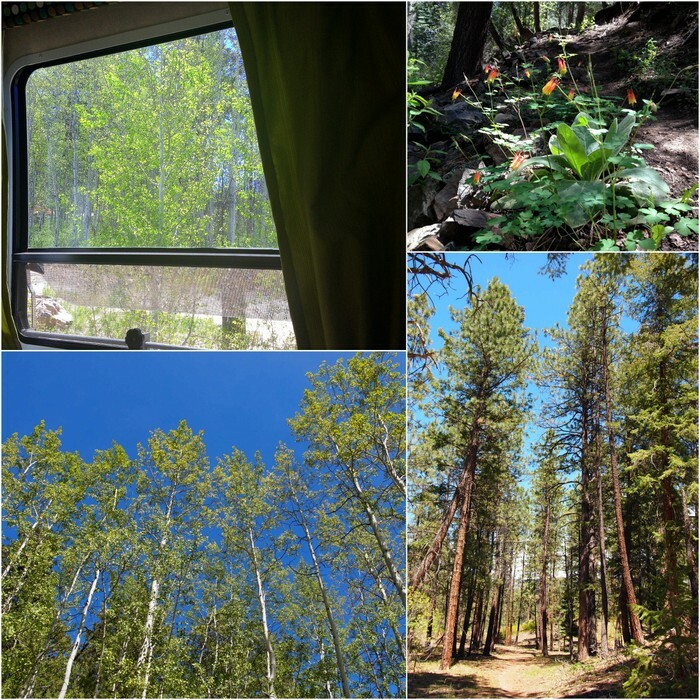 What campsite were you in in these pics? I see the size of your Airstream and am concerned that they have a site for my 30′ 5th wheel and truck since 40′ seems to be the largest site. We were in site #35. It was long enough to fit our 25′ trailer with the truck in front. 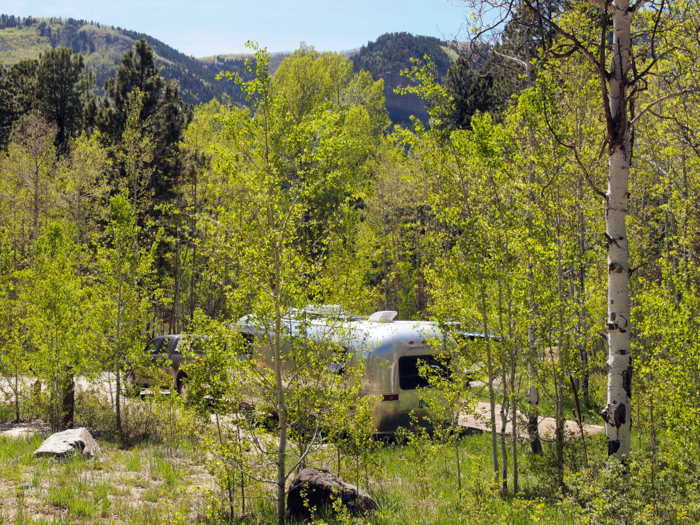 We saw lots of RVs bigger than us, so that must mean there are bigger sites, but you might consider making a reservation to be sure you get a site that you can fit into. When we arrived there were only 3 available sites. It seems likes a popular weekend destination. We’ll be headed that way beginning of May. How was the ATT/Verizon? My husband works and we need both to be reliable. At least the Verizon. Most of the NF parks I’ve looked at around this area are still closed. This one will be open though. As well as I can remember, both AT&T and Verizon worked well. We were only there over the weekend so we didn’t use it for work, but I think it will be fine. Just be aware that early in the season the water might not be on yet. Enjoy!